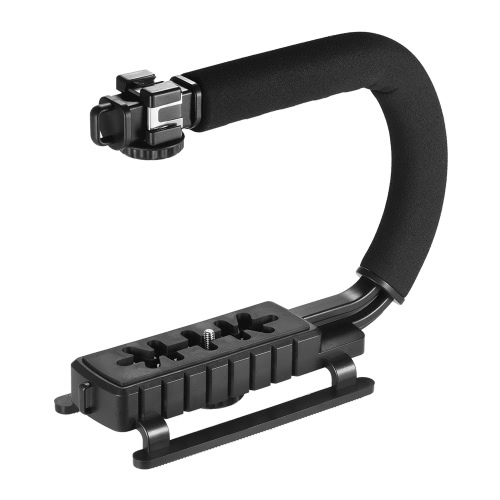 This handheld U-shaped bracket is designed for using with smartphone or DSLR camera. 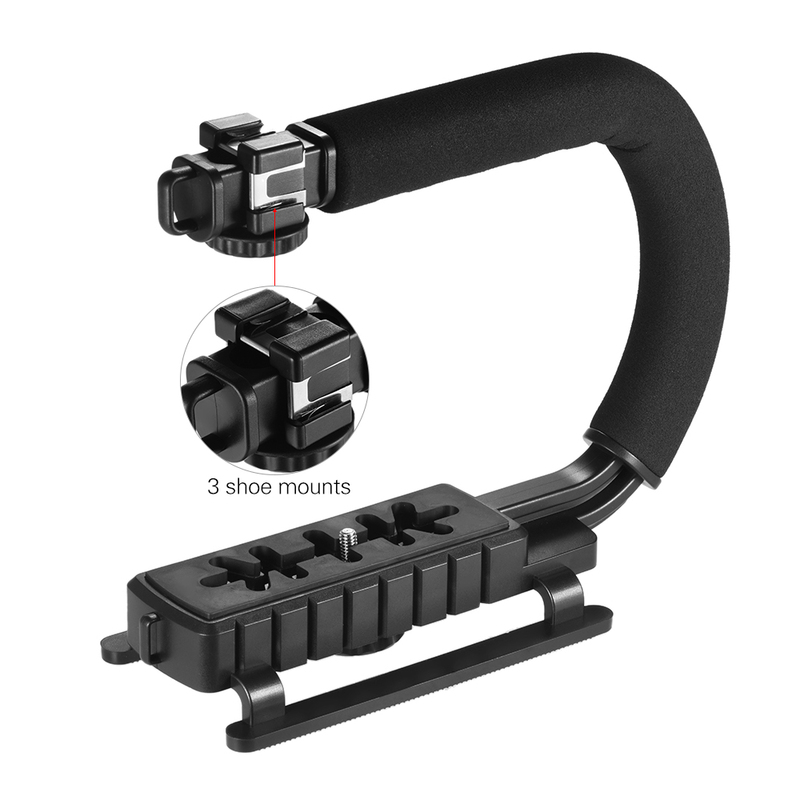 3 cold shoe mounts allow you to install video light and microphone on it at the same time. 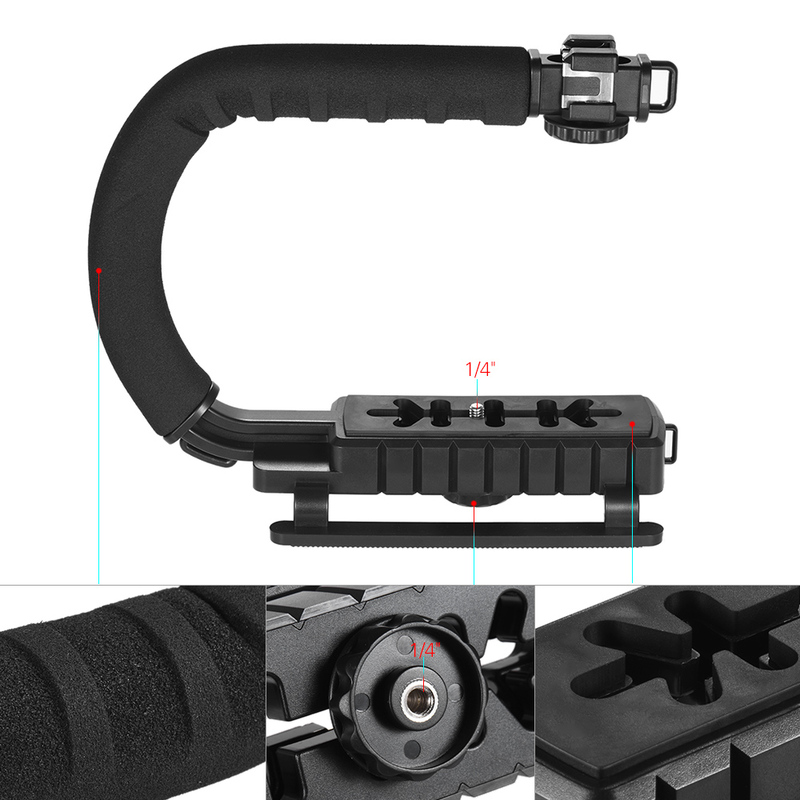 Plus lightweight and comfortable handle design, it not only makes your shooting more professional but easier. 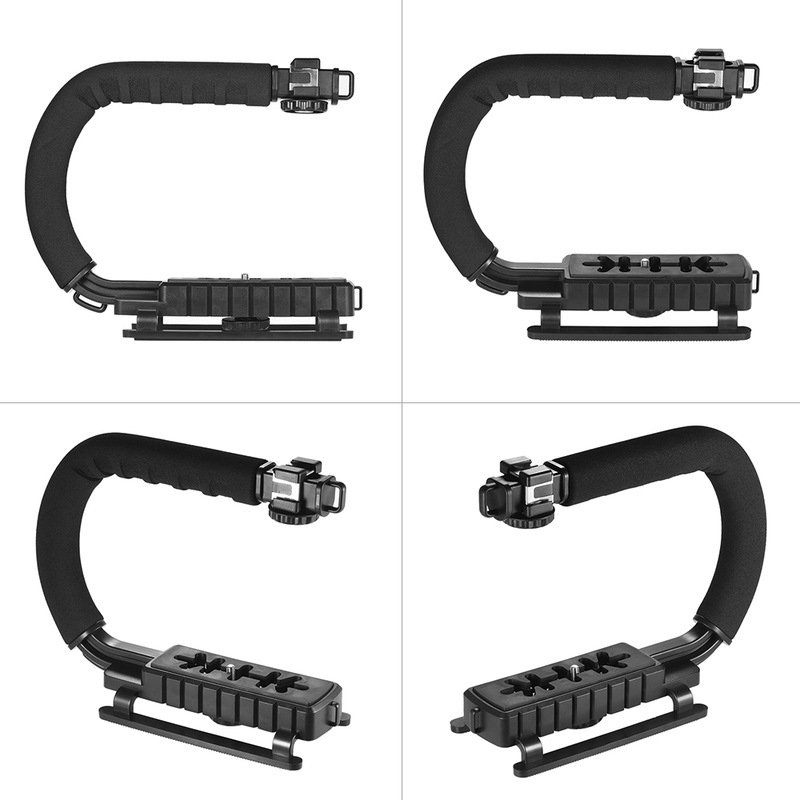 3 shoe mounts allow you to use video light, microphone or something else at the same time. 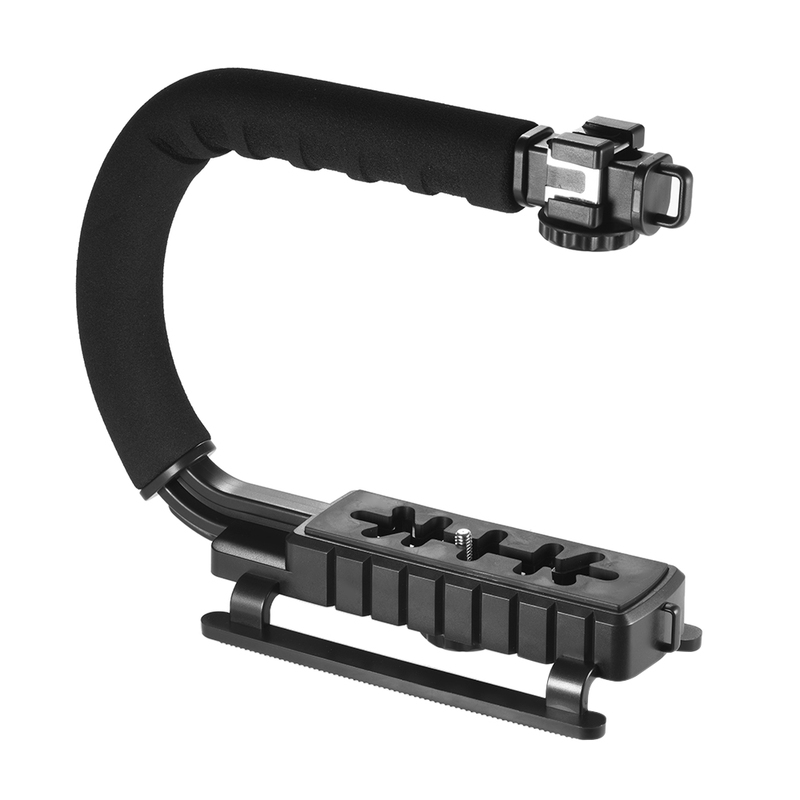 1/4" screw connection, fits most compact cameras/camcorders or smartphone clips. 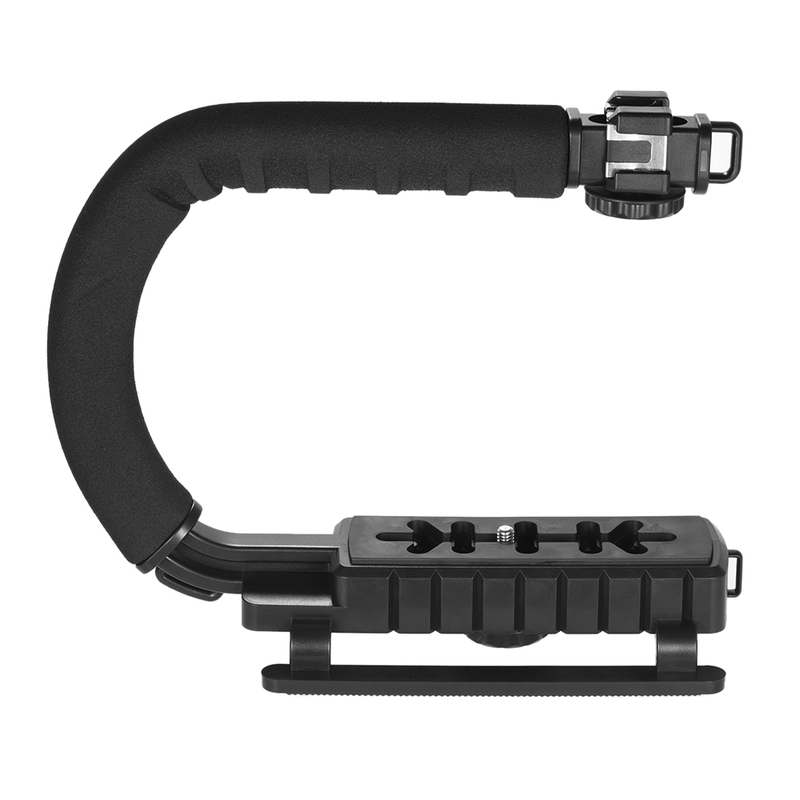 Non-slip rubber padded rail for adjusting the position of your cameras or smartphone flexibly. U-shaped design with soft foam coated handle, comfortable to hold and making your shooting easier. The stable base support enables you to place it on the floor or platform. ABS material, lightweight and durable, convenient to use and carry. 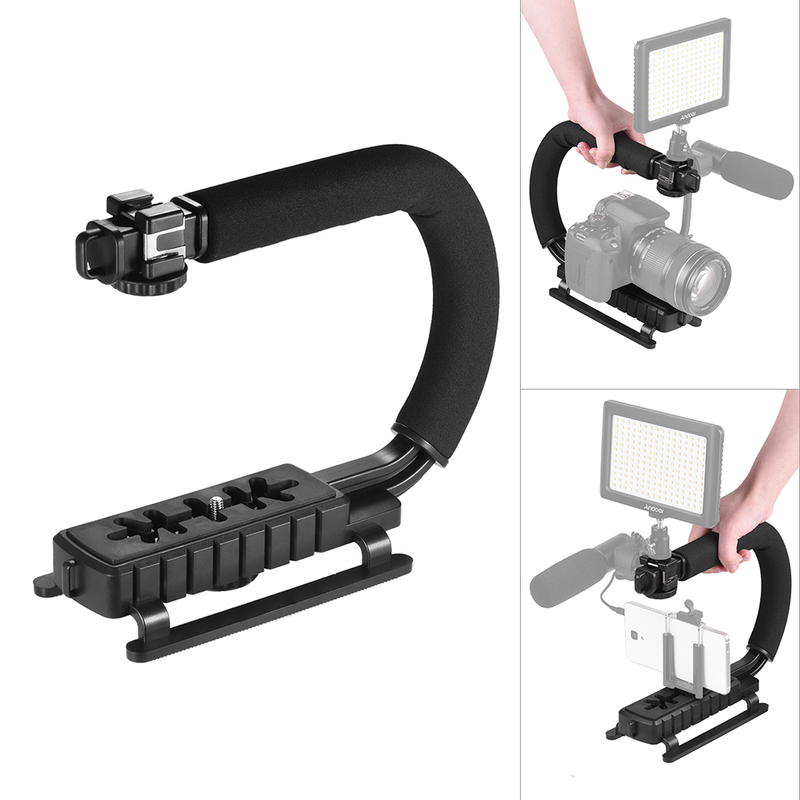 The camera, LED video light, mounting adapter, microphone and phone clip showed in the pictures are not included.